Pinc Group has developed a number of software products that provide solutions to the requirements of many companies in the resources and professional sectors. We can assist resources based Contractors, EPC and EPCM providers as well as Operational and Corporate organisations along with all professional organisations who deal with cost, schedule and data issues. This includes Accountancy, Legal, Service and Administration providers. We have developed Project Management systems that allow us to deliver world class projects safely and cost effectively. 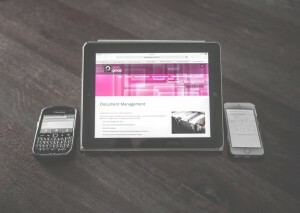 Pinc Group have both a project cost control system and a low cost Document Management / Document Control system that is easily deployable, web based, low band width solution for your business or project. We manage corporate data (including HR, Financial, Administration and Customer based Records). We also manage operational records along with technical (including design, vendor and maintenance) data. We manage the project and operational costs (including managing estimates and providing budget and forecasting capability) as well as the management of contractor costs to ensure targets are met and managed. We also integrate cost control with contracts administration with in our systems along with schedule and procurement control. Our systems operate at a detailed level including invoice management and Quantity and Manhour reporting and management. Whatever your business, Pinc Group can add the control and insight into each area and ensure you’re never the last to know when you should be the first – our products, your productivity. PincSys is structured with discrete modules that can be used independently or within an overarching project management environment. PincCom manages the life of a contract or purchase order from the request for quotation stage through to contract formation, tender, bid review, award, administration, variation and close-out. PincCom interacts with both PincCost and PincDocs to provide a seamless commercial management package which allows for tracking and early trend identification relating to third party deliverables and completions. PincInv© manages the tracking of invoices internally for an organisation. This module is ideally suited to an organisation that needs to manage the sign-off of invoices across multiple physical locations. Too often on a major project, invoices are misplaced or have suffered from a slow sign-off process as their whereabouts is unknown. PincInv© reduces the sign-off time and allows immediate and transparent access to the location and current status of an invoice. PincForce© manages the collection of site workforce data including shifts, numbers, man-hours and trades and also site equipment listings. Apart from assisting with managing contract administration functions, PincForce© integrates with other PincSys© applications to allow correlation with other project vectors. This is described in greater detail in the PincPI module. PincSafe© collects the safety metrics of a project and allows correlation with other project vectors such as productivity, workforce, contractor, shift, etc. This allows the management team to make informed decisions to minimise the safety risk based upon objective analysis. This allows us to challenge existing concepts that are held by the construction industry and verify against actual statistics as to what impacts construction over the life of a project. PincSafe© generates all the project safety reporting both graphically and in table form. This allows us to challenge long held assumptions, reveal previously unknown relationships and identify potential risks for informed management decision making.